A new Cantonese restaurant has opened along the busy stretch of East Coast Road in Siglap area. Lan Ting (兰亭) offering both dim sum and ala carte dishes. I was told that the kitchen is helmed by two teams of chefs, lead by Chef Sam Hee and Chef Teo respectively. There are over 30 different dim sum items on the menu. 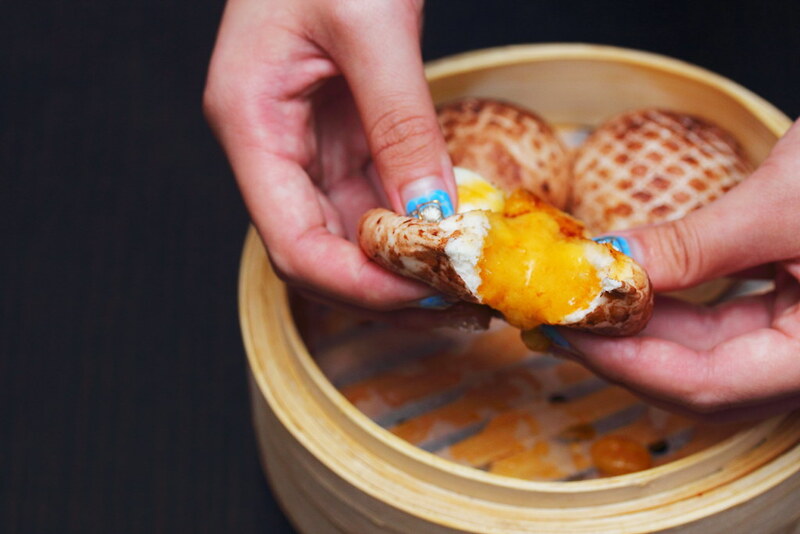 The dim sum are made freshly every morning by Chef Sam Hee's team. I am that Chef Same is a gold medallist awardee for the dim sum category in the World Golden Chef Competition. Shaped and disguised like a whole mushroom, the Volcanic Lava Mushroom Bun ($5.80 for 3pc) is filled with generous salted egg filling. The sweet and savoury salted egg filling has a grainy texture which I enjoyed a lot. However I thought the bun was a bit too doughy. 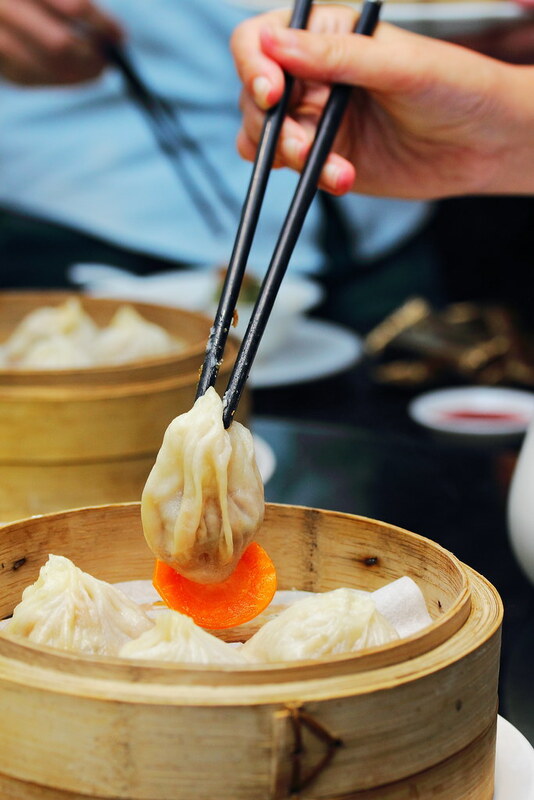 Held inside the thin translucent skin of the Steamed Xiao Long Pau ($4.80 for 3pc) is the flavourful minced pork filling and the delicious sweet broth. I have to say I did not get to really taste the xiao long bao because it always broke when I held it up with the chopsticks. I appreciate the generous filling but that probably was also the reason the parcel was not able to hold the weight. 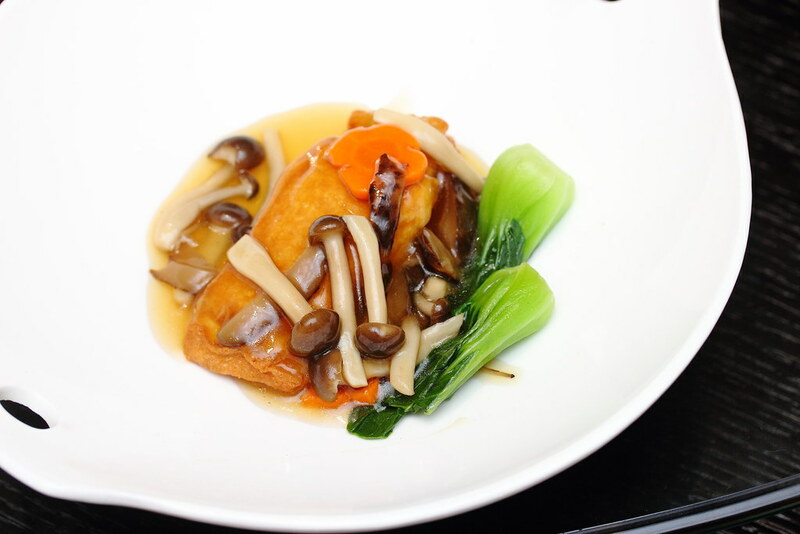 Wrapped in a luxurious parcel is the Lan Ting Abalone Dumpling ($9.80 for 3pc) topped with a mini abalone. 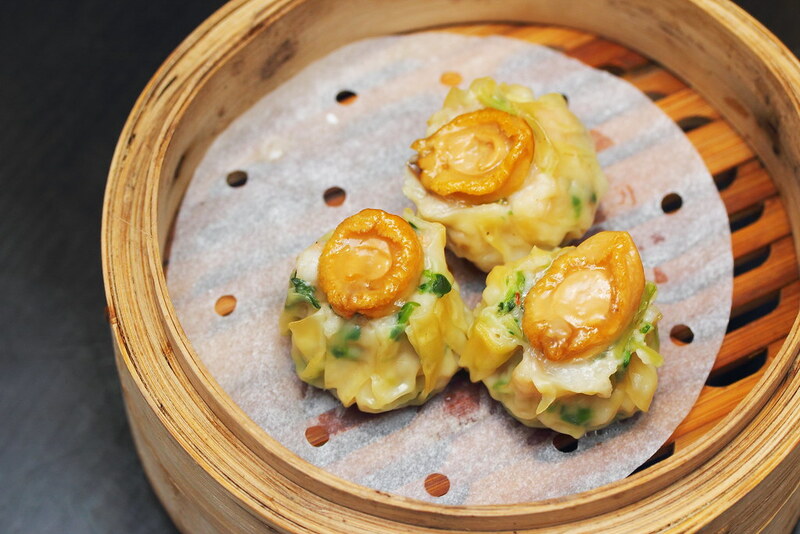 The traditional siew mai was elevated with the addition of mushroom and parsley on top of the minced meat and prawn. From the fried dim sum section. we tried the Taro Puff with Diced Chicken ($4.90 for 3pc) and Chilli Crab Puff ($6.80 for 3pc). 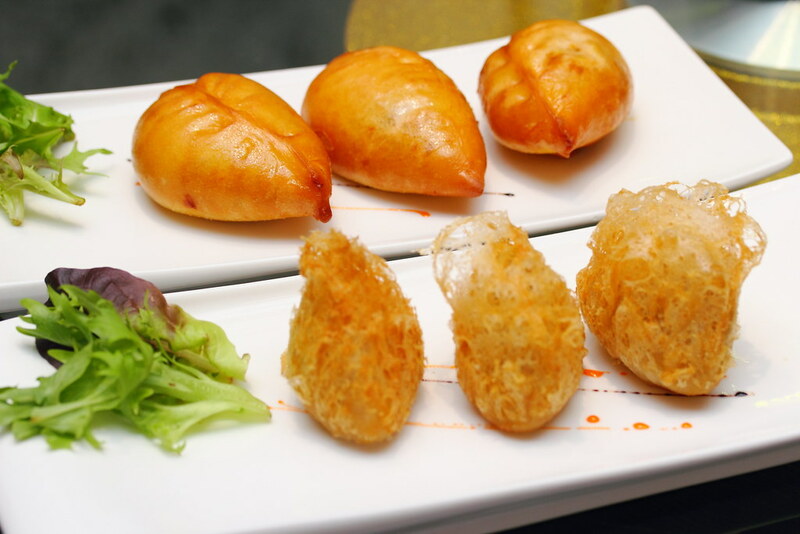 Taro puff is a like a mini yam basket stuffed with savoury diced chicken. I actually preferred if the chef does away with the chicken and allow the taro to shine above the crispy netting. For the Chilli Crab Puff, it was crispy, fluffy and spicy. The chilli sauce has a good spicy kick to it. My only complain was that there was too little of the delicious sauce. 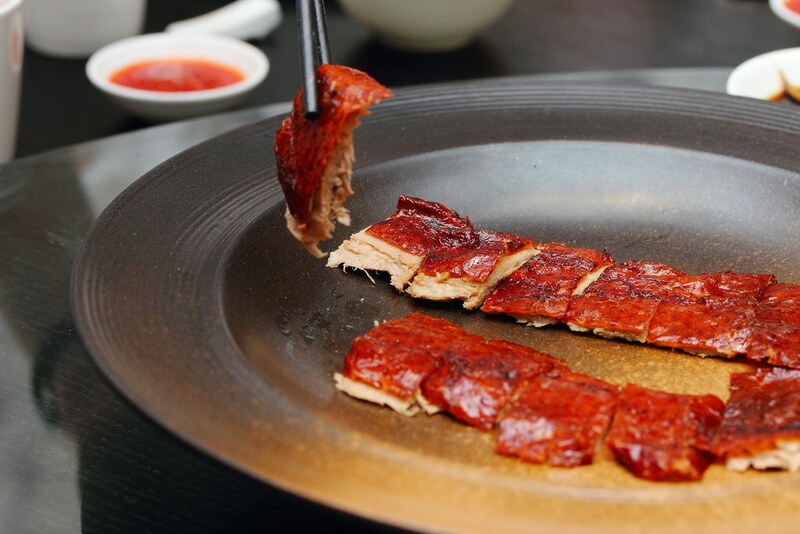 A signature at Lan Ting is the Whole Peking Duck. 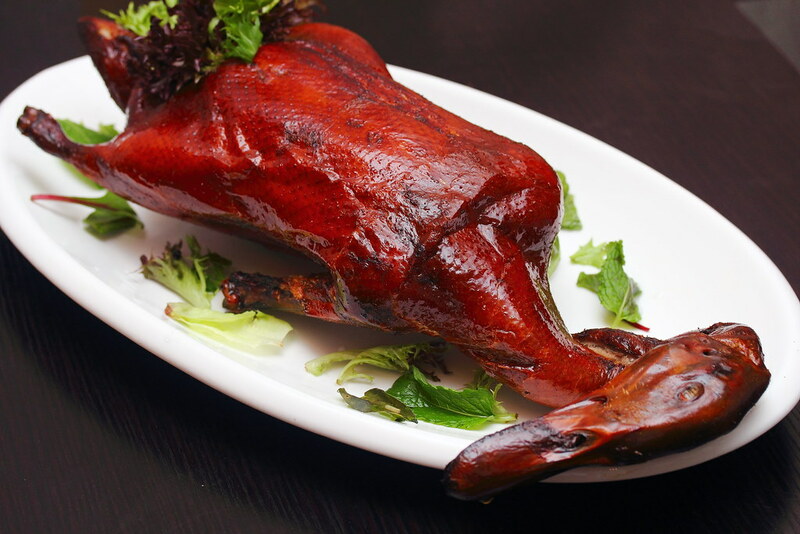 For an additional $10 or $15, guests will be able to enjoy the duck in another two ways of preparation on top of the usual way of enjoying peking duck by having the thinly sliced crispy skin wrapped in a crepe. 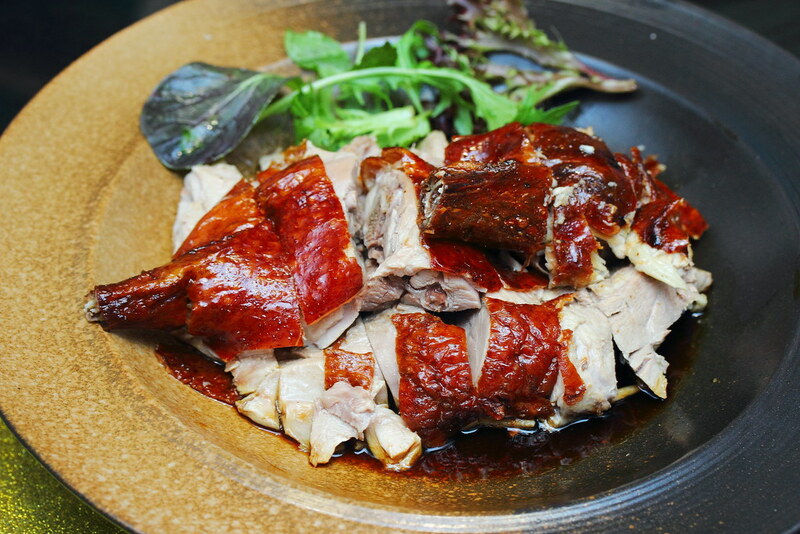 I appreciated the roasted duck with its succulent meat more than the crispy skin alone. 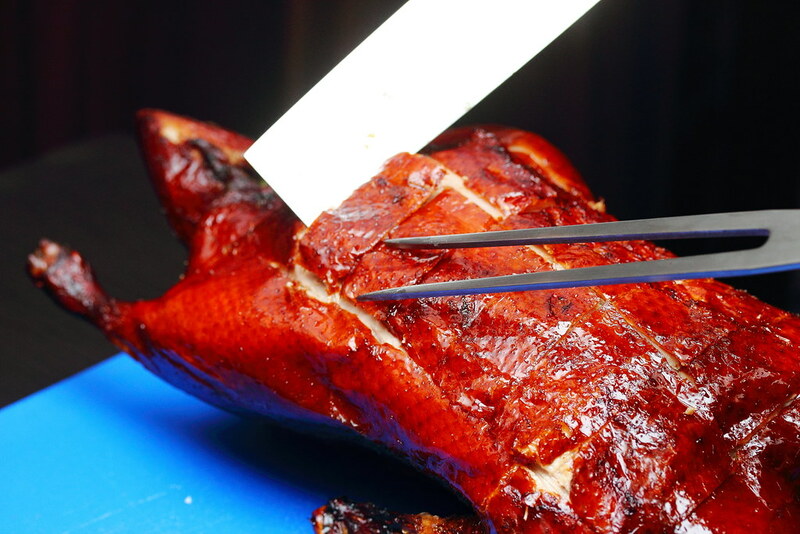 The other way of preparing the peking duck is the diced and deep fried it. To enjoy it you can have it together with the lettuce. 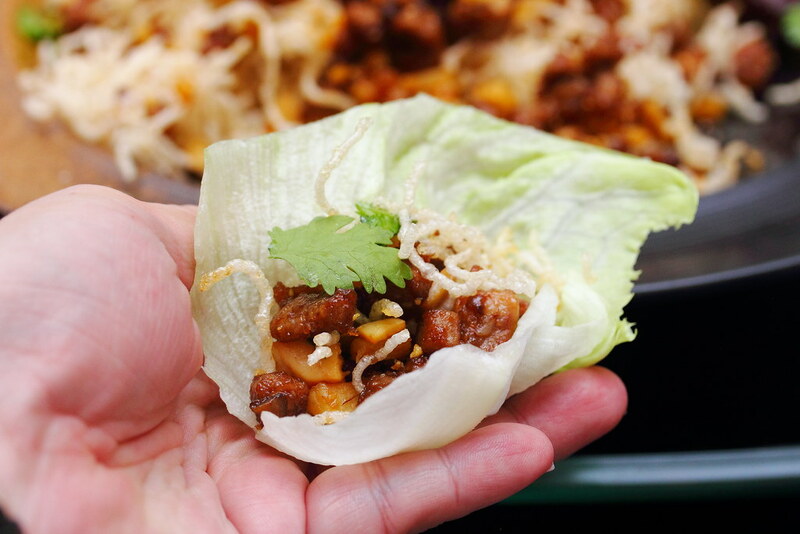 It gave you a mixture of crunchy and crispy combination on that of the sweetness from the diced duck meat. 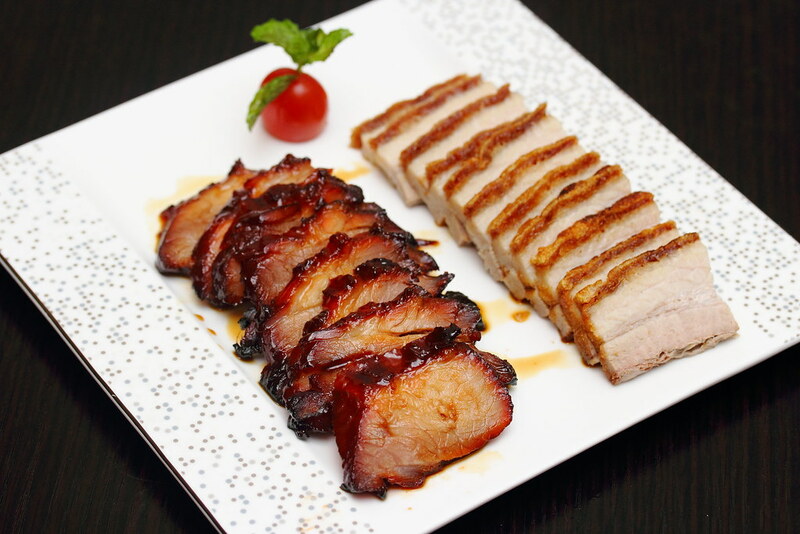 Besides the peking duck, Lan Ting also roasted meat on the menu such as Char Siew and Sio Bak. I like well roasted char siew and its marination. However I preferred a more fatty cut. For the sio bak, I did not like the way it was cut. I felt that it did allow me to enjoy the crackling skin. I was a bit surprise to find the Crispy Pork Knuckle ($28) on the menu of a Cantonese restaurant. 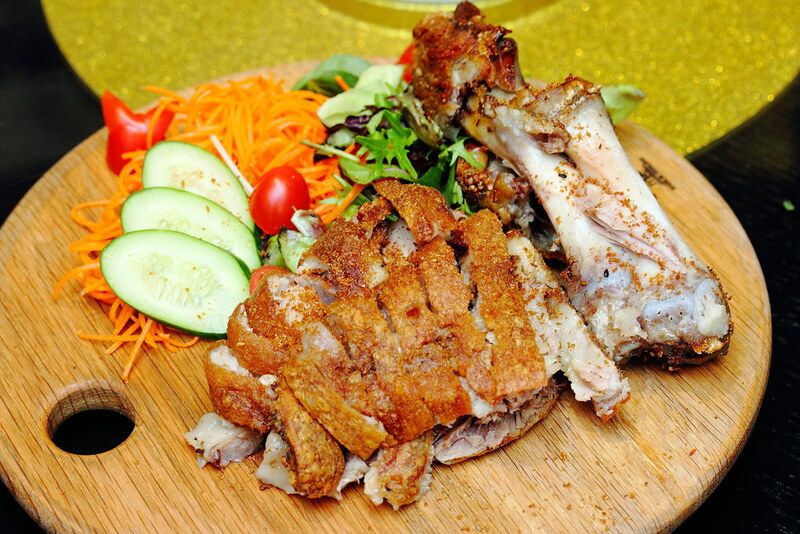 I personally find it out of place on the menu but I would guess there are fans for the crispy pork knuckle which is perfect to go with a few glass of wine or beer. After all the meats, the smooth and silky Homemade Bean Curd with Assorted Mushroom ($15) was a timely introduction to refresh the palate after all the rich flavours. 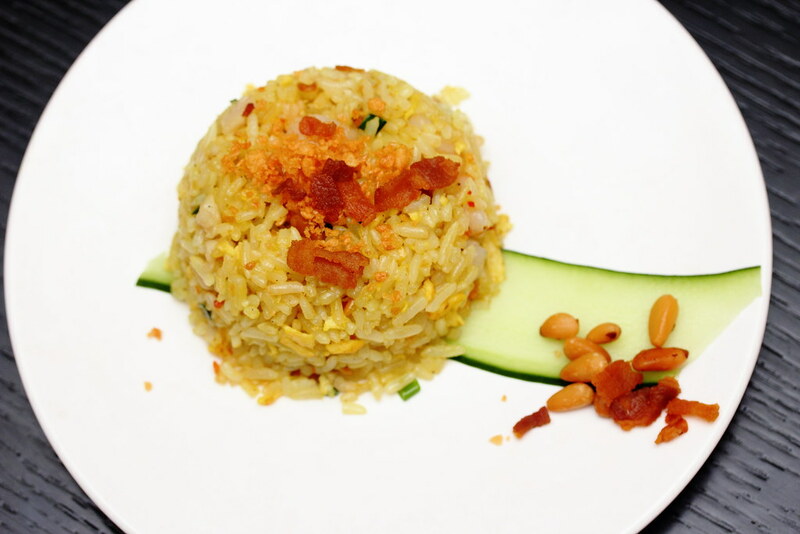 What is so special about the Lan Ting Special Fried Rice ($18). Besides the fragrant rice coated with the egg aroma, there is a mystery Indian spice added into it. It is a special flavour that I have not experience before. Unfortunately I am not allowed to disclose what is it. Hence you have to try it for yourself to know what is it. I was ever told by a chef that the it is not easy to wok fried udon and it determines the wok skill of the chef. 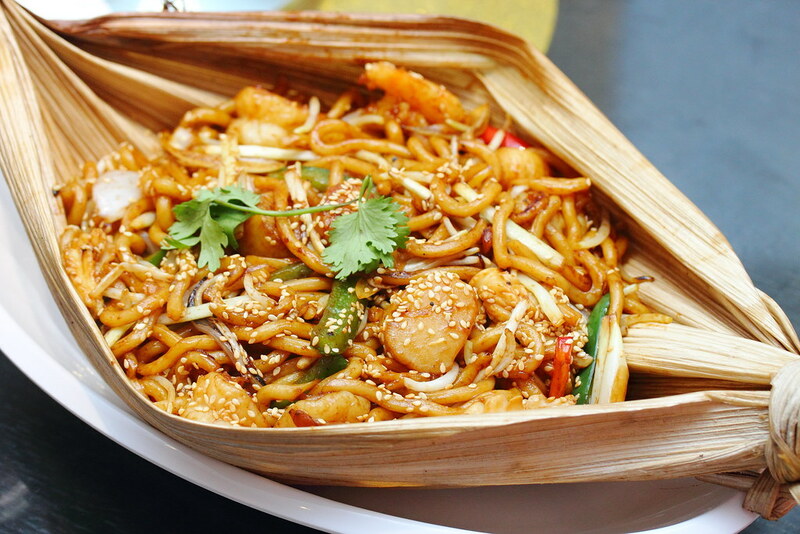 I would have to say the Wok Fried Seafood Udon in Oba Leaf ($18) is very well executed. The udon noodle still retained a good bite to it, well infused with the lovely smoky flavour. 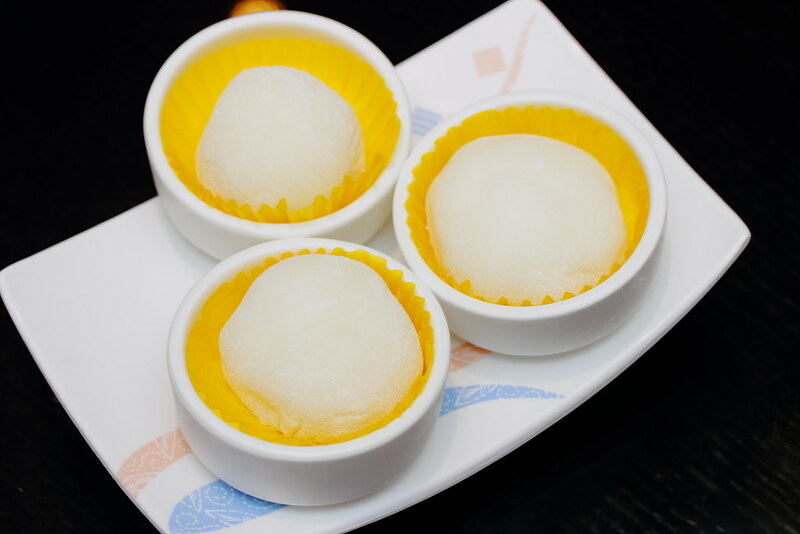 The Snowy Mochi ($5.80 for 3pc) is a crowd favourite. 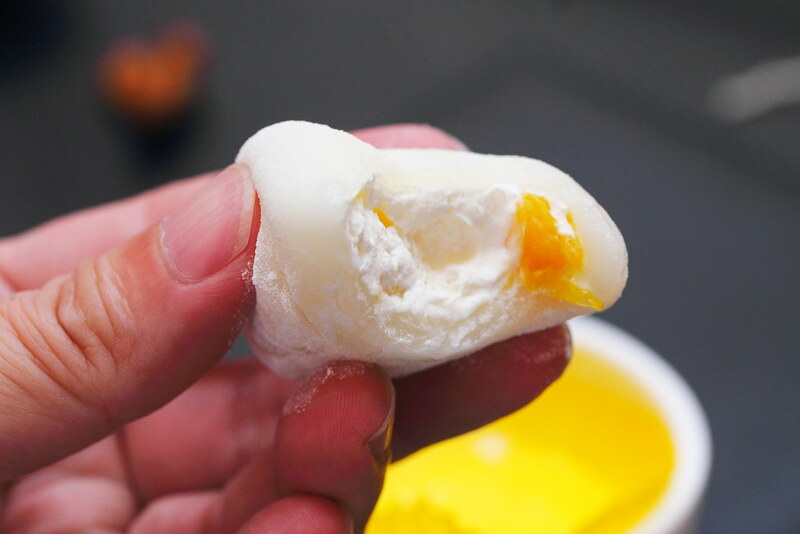 It is like having the mango sago dessert stuffed inside a mochi. This is really an excellent creation. It is interesting to note that Lan Ting is opened as early as 8am offering dim sum for the Siglap area. I have not known of any places that offers dim sum so early, especially for a Chinese restaurant. While I pity the kitchen staff, having to wake up early to prepare the ingredients, I do like the idea of having yum cha early in the morning just like Hong Kong.